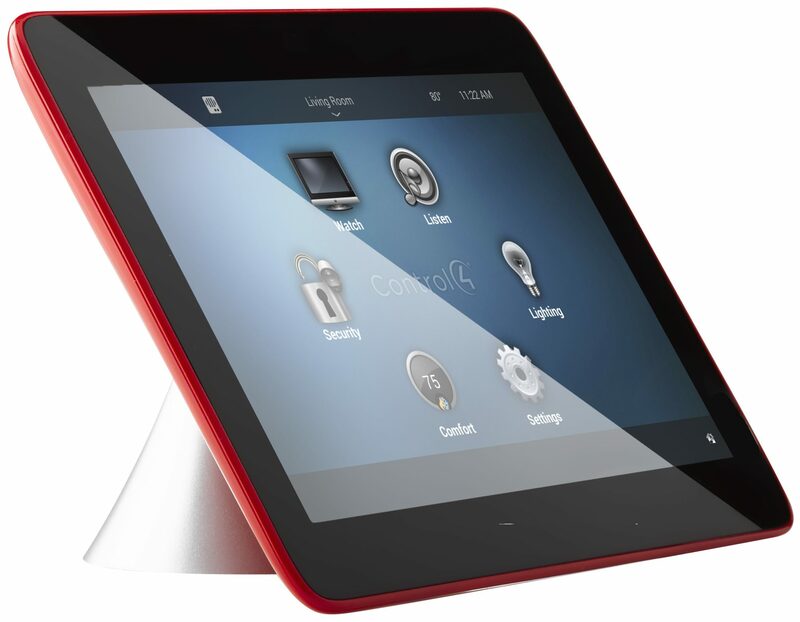 Integra Custom Systems is an authorized dealer for Control 4 home and business automation systems. 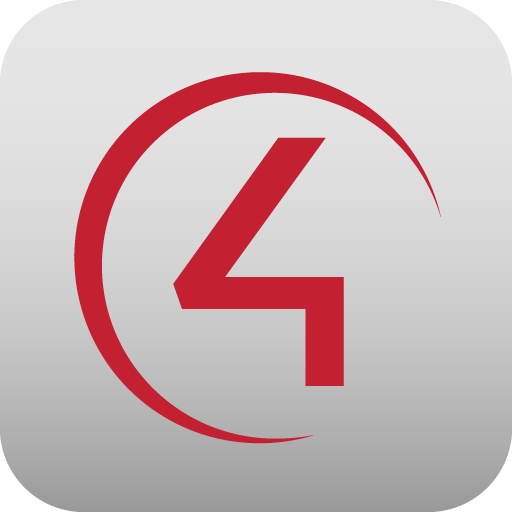 We have been proudly installing Control 4 systems for over a decade and are pleased to announce that Control 4 has been named the top home automation provider for two years in a row. A Control4 Smart Home coordinates the technology in your life into complete, brilliant experiences—interactions that fit your lifestyle and are easy for your family to enjoy. With one touch, dim the lights, play music, turn up the heat, lock the doors and arm the security system. Or, have your house respond to your schedule and needs without touching anything at all. There are many smart devices available today—TVs, thermostats, door locks, even light bulbs that you can control with apps on your smartphone. Control4 orchestrates more than 9,000 of your favorite connected devices, making all the apps and solutions work together seamlessly. And that is when your home truly becomes smart. Control4 coordinates virtually all the connected devices in your home to create a personalized experience with solutions that maximize your comfort, convenience, entertainment and peace of mind. And with the help of Integra Custom Systems, it’s easy to update and adapt your home to your changing needs today and in the future. Welcome to a smarter living experience. We call it the New Normal. Enjoy your favorite music and video in just one room or throughout your entire home! 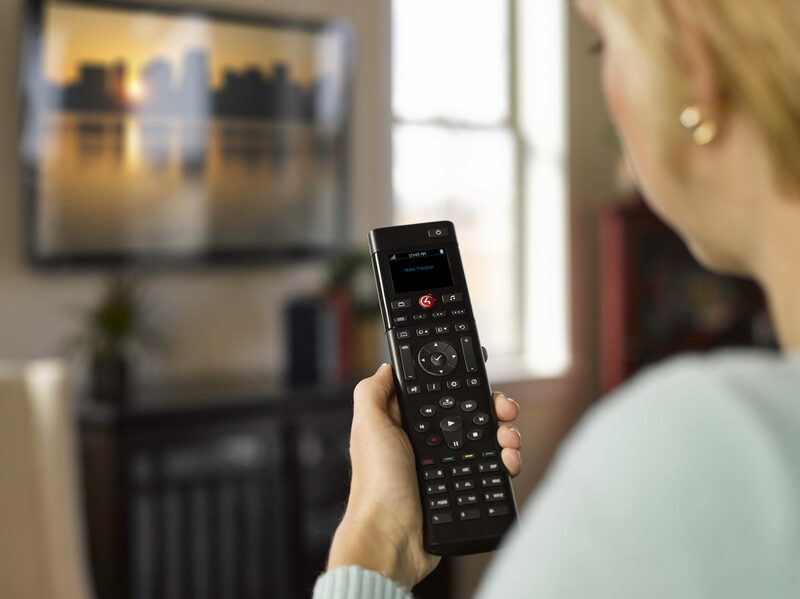 • A singular, easy-to-use interface lets you do it all... watch TV, access your movie collection, stream video, power up a video game, or enjoy your entire music library. Design a jaw-dropping home cinema that rivals any cineplex by incorporating immersive high-resolution audio, high-definition video, best-in-class surround sound, an enormous smart TV or projection screen, and customized lighting to complete the experience. • Watch video from multiple sources, including media players, hard drives and portable devices—or browse through them all simultaneously. 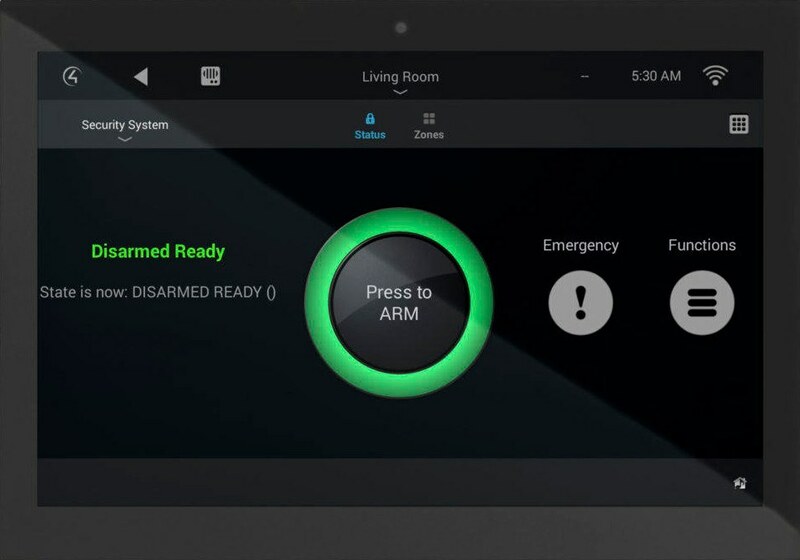 • Hide all of your equipment in a closet and control everything with a single, easy-to-use remote or elegant touch screen. • Enjoy smart lighting throughout the room that dims when you press “play” and ramps back up when you press “pause.” • Incorporate special lighting features, like pathway lights and starry-night ceilings. • Control your whole home from the theater, including adjusting the room temperature or seeing who is at the front door, without leaving your seat. 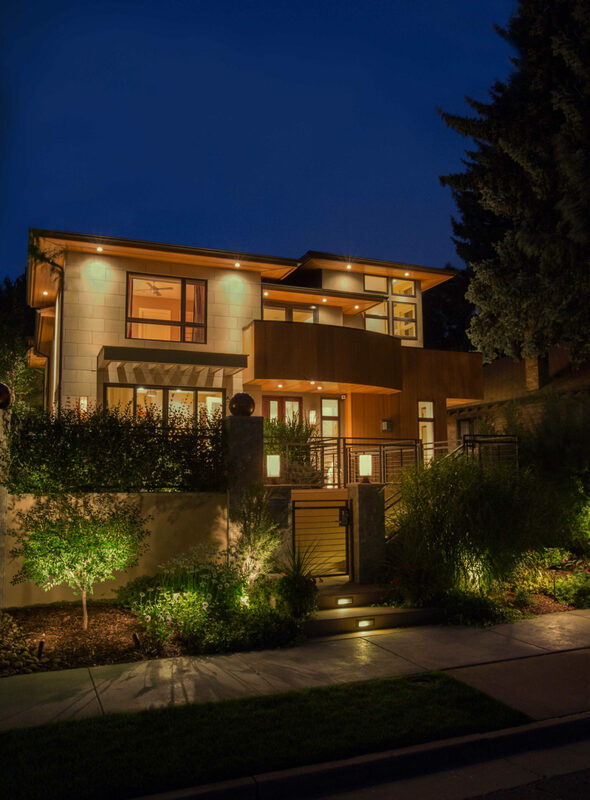 Smart lighting is one of the biggest opportunities for you to subtly, but effectively, influence the ambiance of your home and complement the aesthetics of its decor. You can turn on the entire room—or multiple rooms—with a single light switch, and ramp up or dim illumination to whatever level you desire. And if you don’t care for the banks of switches on your wall, your lighting controls can be centralized elsewhere, such as in a closet, to avoid distracting from the style of your home. Smart lighting is both beautiful and energy efficient. Your lighting automatically turns on when you need the light, but turns itself off when no one is in the room. • Have the lights in the house turn on automatically to welcome you home. • Use motion sensors to provide hands-free illumination. • Program the lights to shut off automatically when a room is unoccupied. • Use keypads to trigger more than just lights, including music, shade control, and energy settings—with a touch of a button. • Illuminate the hallway lights automatically for safe entry, as soon as you enter the garage. • Have your outdoor lighting turn off in the morning, and turn on as the sun goes down. • Make your home sophisticated enough to appear to be occupied even when you’re away. Being comfortable encompasses more than just adjusting the temperature. Control humidity levels, automate shades, power on the hot tub on your way home, and program your entire house for maximum energy efficiency. Control4 works with the world’s leading brands, so it’s easy to integrate your automation system with radiant flooring, forced air, dual fuel and geothermal systems. • Wireless thermostats maintain consistent temperature and humidity control, regardless of the time of day or season. • Enjoy personalized comfort settings that can be recalled on a schedule or with just a few taps on your phone or touch screen. • Pool and spa controls make it easy to turn on the heat, set the temperature or crank the jets instantly, right from your smartphone. • Fireplace sensors are easily controlled from any device within the home. Press the customized “Romance” button and enjoy. • Program your window shades to lower during the hottest hours of the day, saving on air conditioning costs. • Automate your sprinklers and lawn systems to respond to weather conditions. Check in on things at home from wherever you are. Receive alerts when someone enters the house, the garage door is left open, or a leak is detected in the basement. Intelligent security puts peace of mind at your fingertips so you can rest assured that all is safe. • Lock every door and arm the alarm, all with a single touch directly from an intuitive user interface on a touchscreen, TV or mobile device. • View the video feeds from your security cameras. 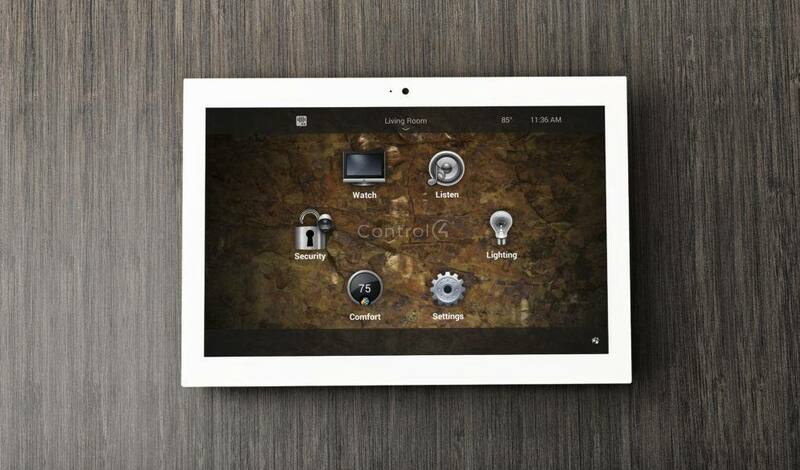 Using the Control4 App, you can easily monitor camera footage straight from your mobile device. • Receive a text alert when the system senses trouble, including water leaks or to simply let you know the kids arrived home from school. • Assign temporary security codes for deliveries and service workers. • Randomize lights and audio/video equipment to make it look like you are home, even when you’re not.